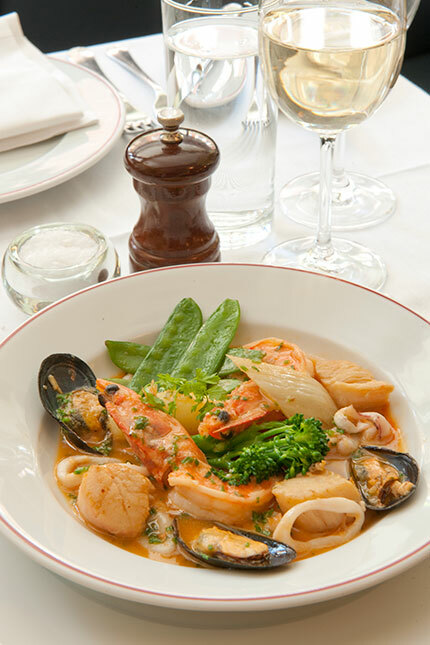 For lunch and dinner we offer the choice of our à la carte or table d’hôte menus which are drawn from the great Franco-Belgian brasserie tradition. There is a variety of dishes ranging from Whitebait, Cheese Croquettes and Crab Salad, through to classics such as Steak Tartare and Sea Scallops à la planche. Staples such as Iced Lobster Soufflé, Smoked Eel Mousse, Salad of Artichoke Heart and Haricots Verts, Fillets of Dover Sole and Sliced Entrecôte of Beef are always on the menu. To follow there is a wide selection of desserts including our famous soft ice creams, Marina’s Chocolate Cake and Île Flottante. The wine list is exclusively French with strong representation from the familiar names of Bordeaux, Burgundy and the Rhone - all at accessible prices. 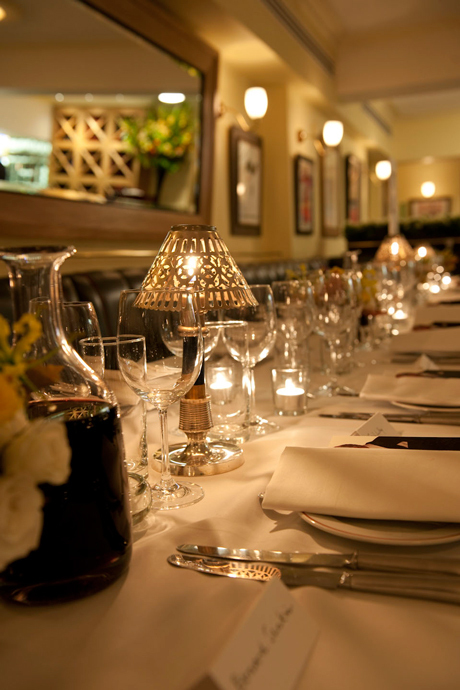 Our Table d’Hôte menu is served at lunch and dinner and changes weekly.